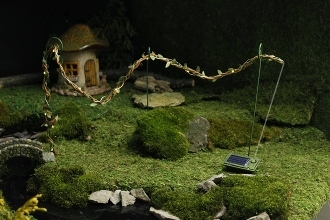 Solar Light Rope w/Foliage For Miniature Fairy Gardens. Light your paths, homes, gazebos with this solar light! The only limit is your imagination!